One-stop shopping at unbeatable prices for all your entertainment and event planning needs. We make sure that all the details of creating a memorable and productive corporate event come together with elegance and ease. We do so on time and within your budget. 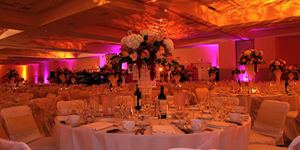 Let us take care of all the hard work and details so you can enjoy your event. We have the expertise and experience to make your event memorable. Our leading design team will help you achieve your special needs. We pay attention to your ideas and vision and then create a package just for you. Our team's approach is much stronger than that of the individual designer. The end results are clear and speak for themselves through signature designs, ecstatic guests, and a 100% return clientele rate. Event production and services at their finest, at fantastic rates. Decor, sound, lights, staging, tenting and more are just a phone call away. 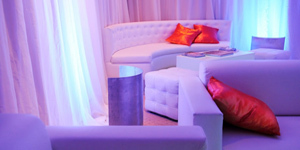 All of this is included in our event planning packages, so check us out. Time is money, and we can save you both. Event and entertainment production services are only part of our many specialties. 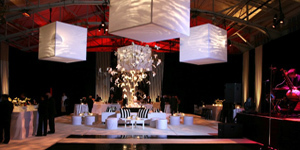 In 2011 Allegra Entertainment & Events was awarded the Preferred Vendor of San Francisco seal!